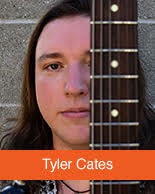 Tyler Cates has been playing guitar for over 20 years and teaching music since 2007. He is a professionally trained, Grammy-nominated musician with years of experience both on stage and in the studio. 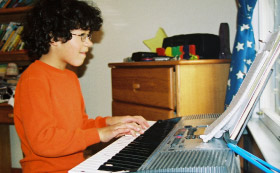 He works with each student to gain fundamental skills on the guitar or piano. His goal as a teacher is to make sure his students have fun learning their instrument and develop a love for playing music that will last for a lifetime. Tyler attended Western Carolina University, where he got his degree in Commercial and Electronic Music. Since moving to Atlanta in 2008 he has kept busy working with a plethora of artists and producers, performing with solo and with various bands, and teaching. When he’s not working on music he enjoys working on his green thumb, as he and his wife are aspiring urban farmers.